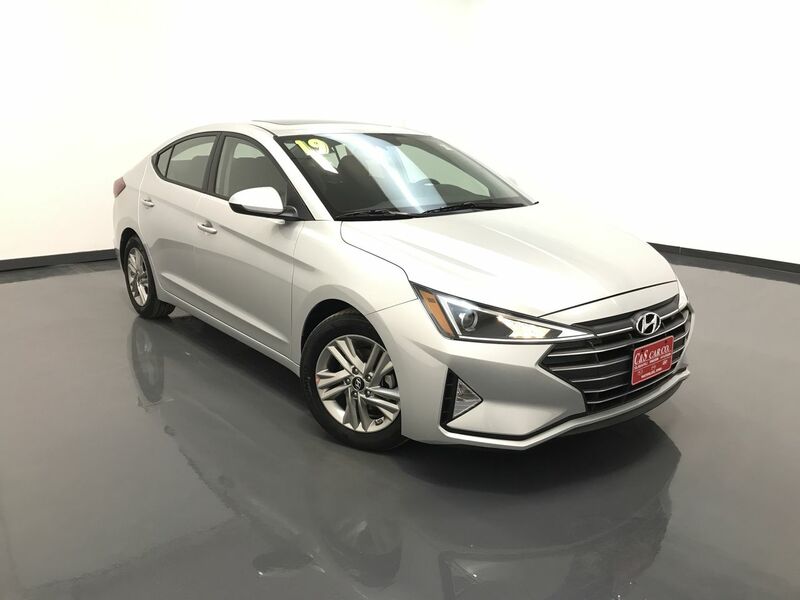 The HYUNDAI ELANTRA for 2019, with style that raises the bar. An evolutionary design with an improved coefficient of drag of 0.27 to provide you with up to 38MPG. This sixth generation of the Elantra has a stiffer and quieter unibody due to doubling the amount of high-strength steel and improved bonding adhesives. A more spacious and refined interior. Available in four trim levels...SE, ECO, Sport, and Limited. All deliver a quiet, comfortable ride with good driving characteristics. The ELANTRA VALUE EDITION sedan with the optional carpeted floor mats, cargo tray, rear bumper applique, and cargo net. An IIHS Top Safety Pick. Come see for yourself. The manufacturer with America's best warranty, backed with quality vehicles that are highly tested. It's a company that's supplying over 94,000 jobs in the USA. Hyundai. A brand name that you can truly trust.